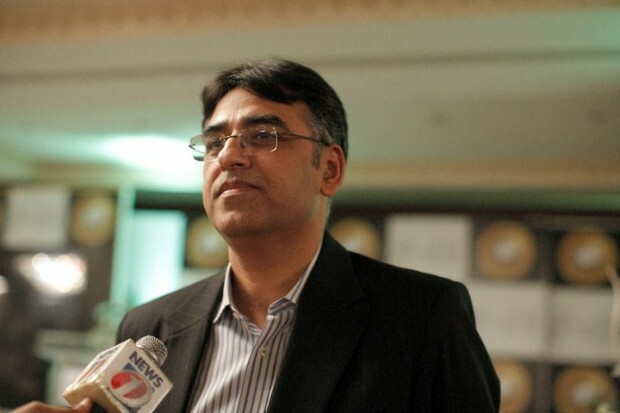 ISLAMABAD: Finance Minister Asad Umar on Thursday said Pakistan remains committed to peace while resolute in defence of its sovereignty. “We are at the crossroads of history,” the finance minister stated. “Pakistan remains committed to peace while resolute in defence of our sovereignty, for which we have demonstrated both our capacity and will,” he asserted. Tensions between Pakistan and India have heightened after New Delhi without any proof blamed Pakistan for harbouring terrorists behind the Pulwama attack. Pakistan’s Prime Minister Imran Khan in response called for dialogue and urged India to provide actionable intelligence. On Tuesday, Indian military aircraft had violated the LoC as they “intruded” from the Muzaffarabad sector and were forced to return owing to the timely response of the Pakistan Air Force. Pakistan on Wednesday confirmed it had shot down two Indian aircraft which had crossed over the Line of Control (LoC) and taken one Indian pilot in custody. Director General Inter Services Public Relations (DG ISPR) Major General Asif Ghafoor also called on the international community to play its role. “Pakistan is sending a message of peace and they [international community] should also come forward and see how the environment between India and Pakistan are a threat to peace and development not only to the two countries but the region and beyond,” DG ISPR said.